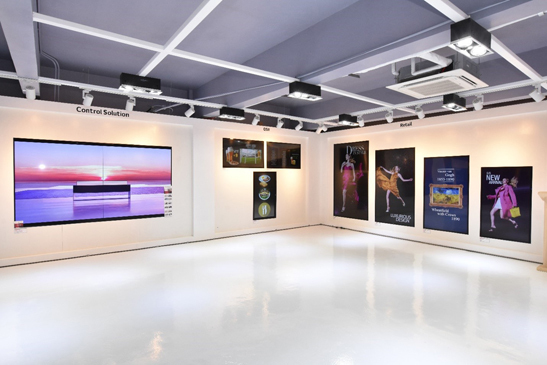 LG Philippines is redefining the country’s tech landscape by launching the very first LG Electronics Information Display Showroom in the Philippines. LG Philippines kicks off its very first Information Display Showroom with a ribbon cutting ceremony. 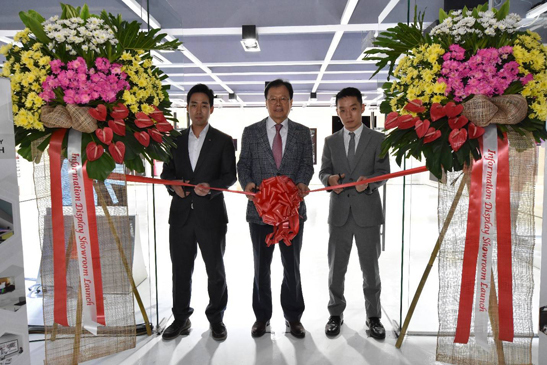 Leading the ceremony are (from left) LG Regional Head Quarters Information Display Product Manager Tae Whan Kim, LG PH B2B Information Display Product Manager, LG PH Managing Director Inkwun Heo and LG PH B2B Information Display Product Manager GiHyun Chung. Officially opened on Jan. 28, 2019, the ID Showroom features the global tech giant’s innovations that earned the trust and confidence of millions of customers around the world. Being the first LG Philippines’ ID Showroom in the country, it encourages visitors to go beyond the usual and experience the cutting edge technology that LG has been making for decades. The showroom is conveniently located at the LG Philippines Headquarters in Pasig City, which means product experts are available for consultation at the showroom for an elevated viewing experience and find state-of-the-art business display solutions. It has dedicated areas for various businesses’ tech needs: Control Solution, Quick Service Retail (QSR), Transportation, Retail, Education, and Corporate. LG takes safety and security seriously and the company has worked tirelessly to find new and more effective Control Solutions for command centers. With LG’s 0.44-mm bezel display, command and control centers can install the slimmest video wall —better than any LED display—for crisp and clear imaging for large-scale deployments. For QSR business like fast food chains, LG designed brighter and clearer menu screens and interactive touchscreen for modernized self-order stores. This high definition signage can optimize operations, making businesses more efficient without compromising its superior picture quality. LG offers 86-inch and 88-inch stretch displays for transport terminals like bus hubs, train stations, or airports. These displays are unique to the LG brand and can be maximized by showing four different contents in one gigantic HD screen. These displays are perfect for ads and announcements that will instantly capture the public’s eye. For retail, educational, and corporate displays, LG has elevated presentations to a more interactive and immersive learning experience. The 86-inch ultra HD touchscreen is a digital board with 20 touch points. This means the user can scribble on the screen to clarify points, effortlessly facilitate digital transactions, display dynamic posters, take screenshots and screen videos, and even send files directly from the display to email. The hospitality industry constantly changes with its ever dynamic clientele. To address this, LG has designed various displays to fit the theme and design of any property—whether it’s a display that’s as thin as wallpaper or a super sleek TV that doesn’t need a digibox. The best part? Each display is powered by LG’s Pro Centric solution programs specially designed for hotels. In the world of advertising, it’s important to stand out from the crowd. LG’s selection of OLED signages are so cutting edge that you can choose from premium displays that are as thin as two credit cards or displays that are literally crystal clear because it’s absolutely transparent. These features are only made even better with LG’s dedication to uncompromised picture quality and durability. This unique ID showroom is also available for technical seminars and partner training sessions, so corporate teams can experience top-of-the-line technology for more effective knowledge transfer. Interested parties may contact LG Electronics Philippines to schedule an appointment. LG Electronics Philippines’ Information Display Showroom is located at 15 Francisco Legaspi St, Brgy. Maybunga. For inquiries, call (02) 902-5544 or visit www.lg.com/ph.